Inspired by the sun god Apollo. 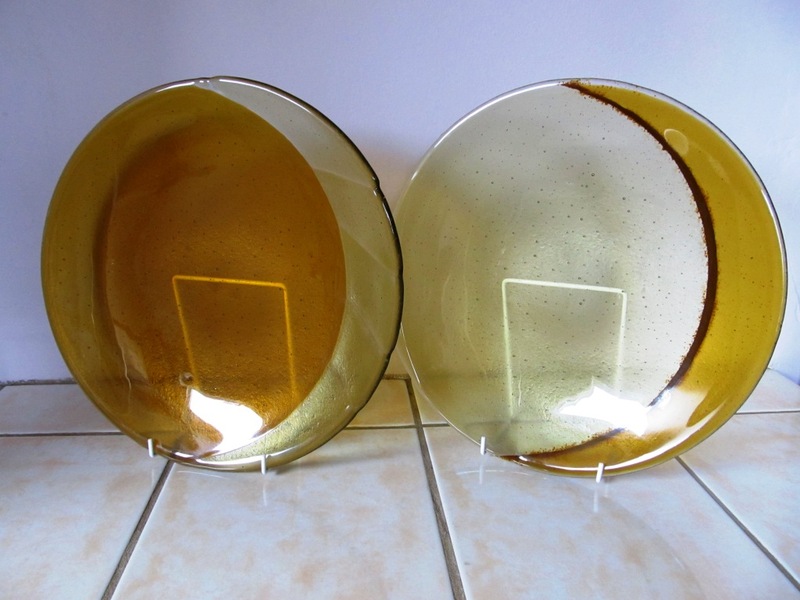 A set of two 30cm dishes representing the sun and moon are created using golden amber and pale amber glass. 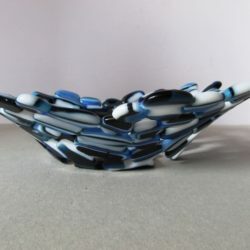 The dishes are gently curved and can be wall mounted, displayed on plate stands or make a beautiful centrepiece. The pieces have a smooth finish with gently rounded edges. The glass reflects light beautifully and looks stunning when displayed with additional lighting or when they are lit by the sun. 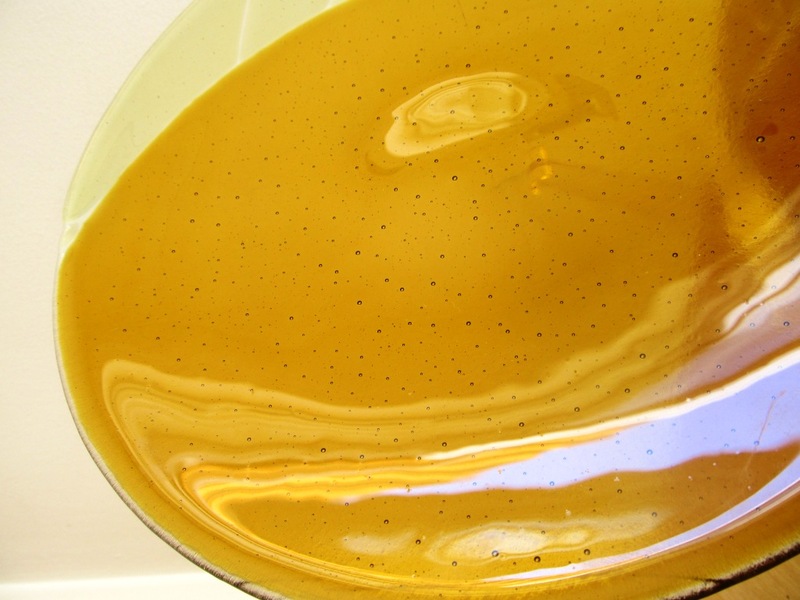 Sunflare is golden amber with a pale amber fluted edge. Eclipse is pale amber with a golden edge and includes bronze coloured glass detail between the two colours. 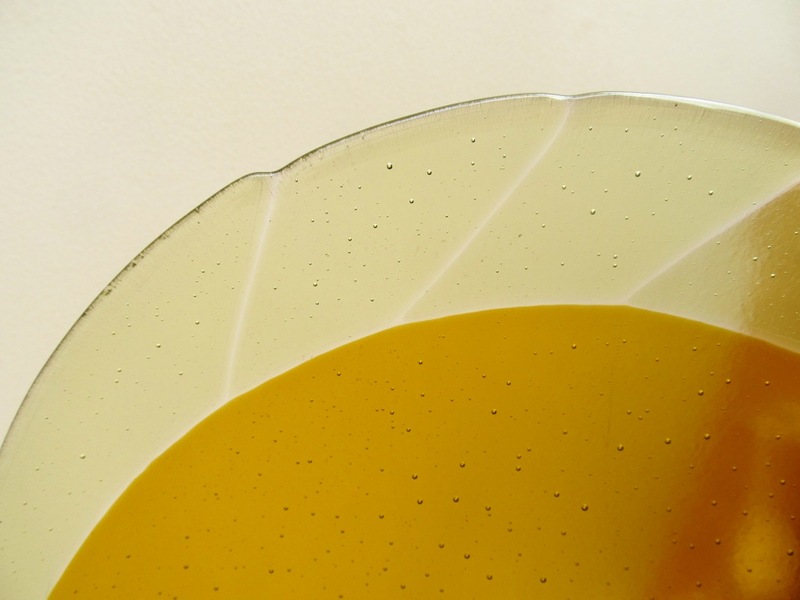 The glass has been cut by hand, fused together individually and gently heated to form the curved dish shape. 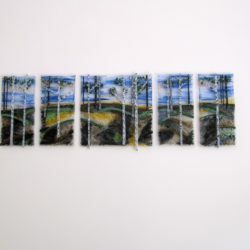 Each piece has spent almost 40 hours in a kiln to reach final presentation. 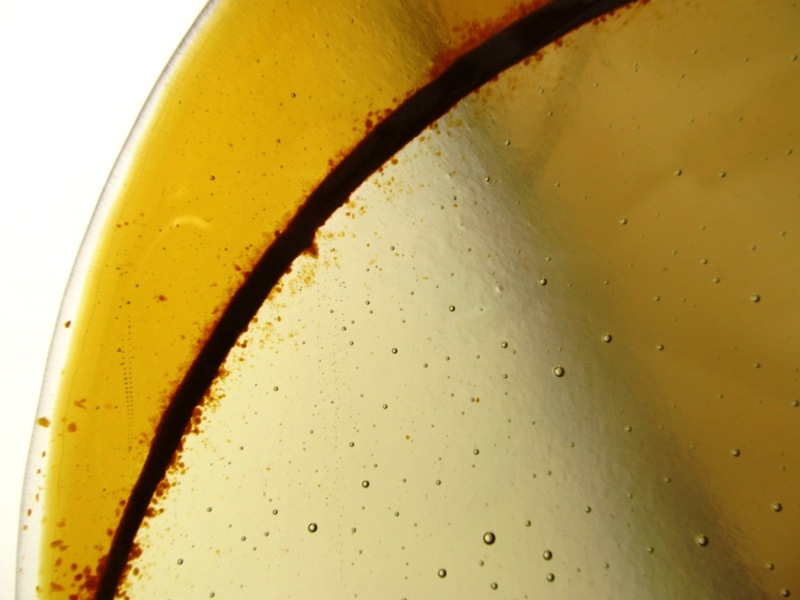 Within each dish it is possible to see the air bubbles captured within the glass during the fusing process.